Selecting premium quality Quartz worktops in Hoylake means that you won’t have to worry too much about care and maintenance. One of the many benefits that Quartz worktops offer is its non-porous quality. It won’t absorb spilt liquids and food dyes, which means that if you work a lot with coloured icings or similar materials, you don’t have to be over-cautious. Also, if you are going to roll out doughs and pastries, your Quartz worktop will be quite hygienic, and once you are done working, you can simply give it a quick wipe-down! In the past year, Quartz has been on the rise for renovations, and for good reasons too; they are one of the most durable and heat-resistant materials you can have in the kitchen. Homeowners who are thinking about installing quality products in their kitchen are more than welcome to get in touch us. In Hoylake, Quartz worktops are professionally crafted by our team. The family business has been in operation for many years, with David Williams acquiring over 50 years in the industry. The company is well-known for producing beautifully carved, hand-made fireplaces and a great selection of worktops for kitchens. Quartz is the material that will impress your visitors, or, if you are planning to sell the house one day, be the factor that actually makes the sale happen. For a lot of people, a well-designed kitchen is often the final deciding factor. After all, most people tend to gather in kitchens; young children do their homework there, parents spend their time bonding, close friends and relatives will often make a beeline to the kitchen when they reach your place. As members of BRAMM, we can guarantee that any work on Quartz worktops in Hoylake will be up to standards. If required, we can pay a visit to your kitchen to make sure we are adhering to all specific requirements. For any further details about how we can assist you, contact David Williams. We pride ourselves on the high level of workmanship that we provide our clients, plus, we always offer amazing products at fair prices. 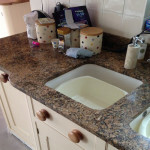 This entry was posted in Quartz Worktops and tagged Hoylake Quartz Worktops, Quartz Worktops in Hoylake. Bookmark the permalink.